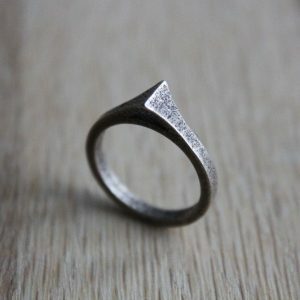 Nori is an old Norse name derived from the word “Norr” which means North. 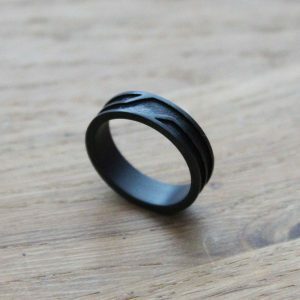 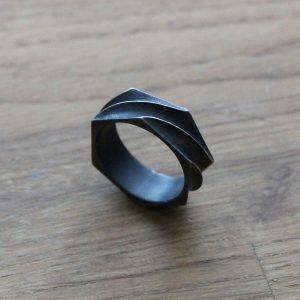 The outside of the twisted ring represents the dark northern mountain ridges and the inside represents the deep mysterious mines of Myrkheim. 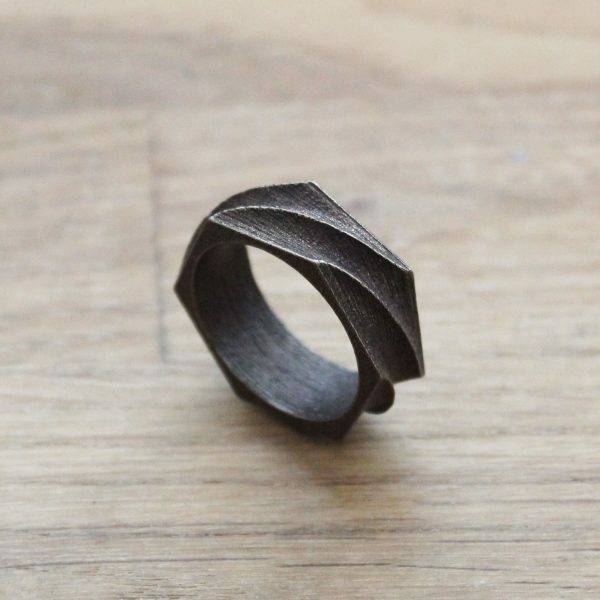 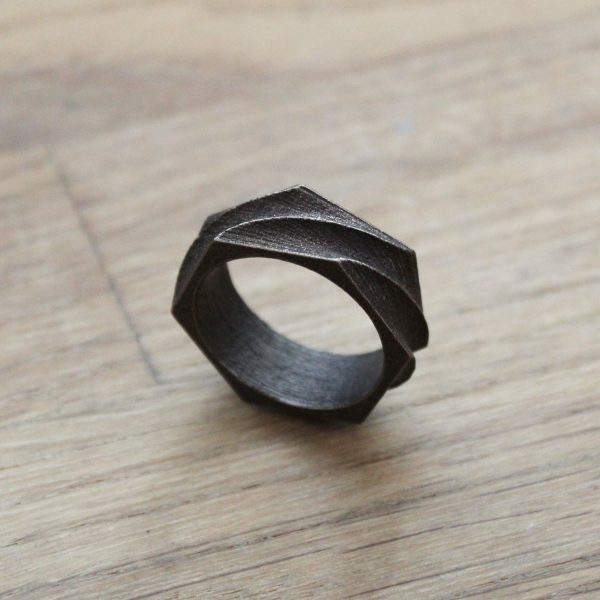 The ring is made of Bronze Steel and the edges has been polished for great comfort.